Beginning in the 1930's, "The English Patient" tells the story of Count Almásy who is a Hungarian map maker employed by the Royal Geographical Society to chart the vast expanses of the Sahara Desert along with several other prominent explorers. As World War II unfolds, Almásy enters into a world of love, betrayal, and politics that is later revealed in a series of flashbacks while Almásy is on his death bed after being horribly burned in a plane crash. Taglines: In memory, love lives forever. Both Naveen Andrews and Kevin Whately had to learn to ride motorcycles for the film. There was some concern that Andrews would not pass his test before filming began but he completed his course successfully. Continuity: The headset Kip wears as he sweeps the road for mines disappears and reappears between shots. Almásy: [being carried up the stairs] There was a Prince, who was dying, and he was carried up the tower at Pisa so he could die with a view of the Tuscan Hills. Am I that Prince? Hana: [laughs] Because you're leaning? No, you're just on an angle. You're too heavy! In a style reminiscent of the best of David Lean, this romantic love story sweeps across the screen with epic proportions equal to the vast desert regions against which it is set. It's a film which purports that one does not choose love, but rather that it's love that does the choosing, regardless of who, where or when; and furthermore, that it's a matter of the heart often contingent upon prevailing conditions and circumstances. And thus is the situation in `The English Patient,' directed by Anthony Minghella, the story of two people who discover passion and true love in the most inopportune of places and times, proving that when it is predestined, love will find a way. It's WWII; flying above the African desert, Hungarian Count Laszlo de Almasy (Ralph Fiennes) is shot down, his biplane mistaken for an enemy aircraft. And though he survives the crash, he is severely burned. To his great good fortune, however, he is rescued by a tribe of nomads and winds up in a hospital. But existing conditions are governed by circumstances of war, and Almasy soon becomes one of many patients being transported via convoy to a different facility. Upon reaching Italy, he is too weak and ill to continue on, and a Canadian nurse, Hana (Juliette Binoche), volunteers to stay behind with him at an abandoned monastery. Hana soon discovers that her charge is something of a man of mystery, as Almasy remembers nothing of his past, and not even his own name. Thought to be English, the only clues pointing to who he is are contained in a book found in his possession after the crash, but even they are as cryptic as Hana's patient. Slowly, however, under prompting from Hana, Almasy begins to remember bits and pieces of his life, and his story begins to unfold. And his memory is helped along even more by the appearance of a mysterious stranger named Caravaggio (Willem Dafoe), who suspects that Almasy is the man he's been looking for-- a man with whom he wants to settle a score. But, burned beyond recognition, Almasy may or may not be that man. Meanwhile, Almasy's memories continue to surface; memories of a woman he loved, Katherine Clifton (Kristin Scott Thomas)-- as well as memories of Katherine's husband, Geoffrey (Colin Firth). And, crippled in mind and body as he is, those memories become the only thing left to which he can cling with any hope at all, even as his life seems to be slipping farther away with each passing moment. In addition to directing, Anthony Minghella also wrote the screenplay for this film, which he adapted from the novel by Michael Ondaatje. The result is an epic saga presented in the tradition of Lean's `Doctor Zhivago' and `Lawrence of Arabia'; a magnificent film that fills the screen and the senses with unprecedented grandeur and beauty. Simply put, Minghella's film is genius realized; crafted and delivered with a poetic perfection, watching it is like watching a Monet come to life. From the opening frames, Minghella casts a hypnotic spell over his audience that is binding and transporting, with a story that has an emotional beauty that equals the engagingly stunning and vibrant images brought to life by John Seale's remarkable cinematography; images that virtually fill the screen as well as the soul of the viewer. In every sense, this is a film of rare eloquence, with a striking emotional capacity that facilitates an experience that is truly transcendental. Nominated in twelve categories, it deservedly received a total of nine Oscars, including Best Picture, Director, Supporting Actress (Binoche) and Cinematography. If one had to choose a single word to describe the `essence' of this film, it would be `excellence.' Even an extraordinary film, however, does not receive nine Oscars without performances that are extraordinary in kind; and the performances given by Ralph Fiennes and Kristin Scott Thomas here transcend the term `Oscar worthy.' Nominated for Best Actor for his portrayal of Almasy (Geoffrey Rush was awarded the gold for `Shine'), Fiennes has never been better, achieving an emotional depth with his character that is nearly palpable. Private and introspective, Almasy is not by his very nature an individual to whom the audience will be able to form an intimate connection; Fiennes, however, finds a way to open that emotional door just enough to let you in, enough so that you taste the honest passion welling up within him. And it works. Almasy does not seek your friendship; he will, however, gain your compassion. Kristen Scott Thomas, too, received an Oscar nomination for Best Actress (Frances McDormand received the award for `Fargo') for her portrayal of Katherine, a woman whose stoic countenance masks the emotional conflict raging within her, born of the forbidden passion that enslaves her and yet to which she gives herself willingly, casting off her shackles of repression to embrace a love so strong it threatens to consume her. The reserve Katherine must maintain evokes the empathy of the audience, as Scott Thomas successfully mines the emotional depths of her character to the greatest possible effect. It's the kind of performance that draws you in and holds you fast, taking you as it does beyond that curtain of hypocrisy that dictates what must be if only for the sake of appearances, and allows you to experience a true sense of unbridled passion. Understated and shaded with subtlety, it's terrific work by Kristin Scott Thomas. 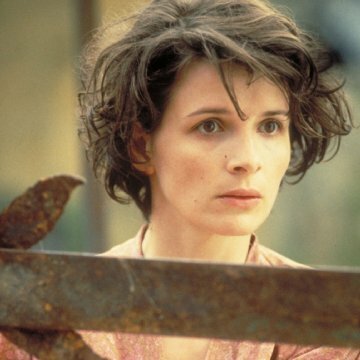 Binoche gives a stunning, affecting performance, as well, as the kindhearted nurse, Hana; it is her humanity, in fact, which defines love in it's purest sense and offers a balanced perspective of it within the context of the film. Her relationship with Kip (Naveen Andrews) affords us a glimpse of passion of another kind, which contrasts effectively with the intensity of that between Almasy and Katherine. 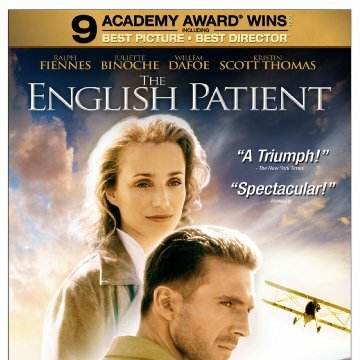 `The English Patient' is a film that will move you and fill you emotionally; one you will not want to see end. 10/10.